Designed especially to remove oils, grease and heavy fats. Will degrease engines, workshop floors and walls. Ideal for pressure cleaning. 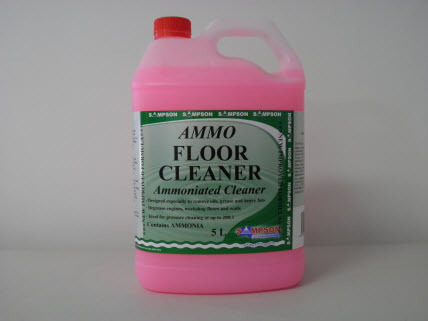 A high powered cleaner containg ammonia for efficient cleaning and rust-inhibiting agents to protect metal. Equally effective in hard or soft water. Perfect for washing floors, walls, food areas, industrial kitchens, toilet areas, shower recesses, industrial hand cloths, overalls, protective covers, concrete floors and lube bays. Available in 5 & 20 litre container.